Geek Deal of The Day!!! Alien, Aliens, Alien 3, Alien 4: Resurrection Blu-Rays Are All 64% Off!!! From now until Sunday, all four Alien films are on sale over at AMAZON at 64% off making each blu-ray $12.49. This is not the big collection set. This is each individual release, which pretty much makes up that set. These are pretty much direct transfers from the collection set, minus a few extras, and the special bonus disc. If you have the collectors set already, then you don’t need these. I suggest if you only want to own the first two Alien films, then this is the way to go. Great prices, and great transfers. Geek Deal of the Day! 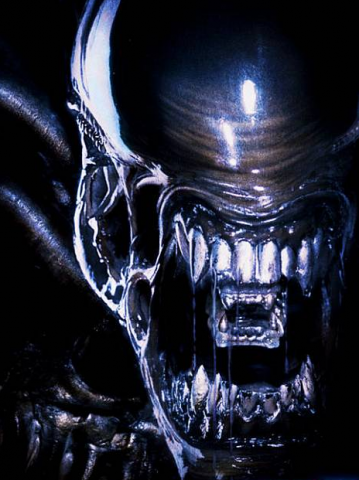 ‘Alien’ Anthology Blu-ray Set! Only $25.00! Geek Deal of the Day!!! ‘Alien’ Anthology Bluray Set 63% Off!!! Only $29.99!!! This entry was posted on Monday, July 11th, 2011 at 1:42 pm	and is filed under Film, News. You can follow any responses to this entry through the RSS 2.0 feed. You can skip to the end and leave a response. Pinging is currently not allowed.